Valve Springs in your engine have a very basic job, But how they do it is very important. The main function of valve springs is to keep the valves closed to build up engine compression. The second function is to maintain specific pressure on all moving parts to follow the camshaft lobe. So, The camshaft, pushrods, lifters, and rocker arms do all the work in opening the valves. But, When their job is done the valve springs take over to make sure the valves keep closed. The valve springs also push back against all the other parts like the rocker arm, pushrod and lifter to maintain pressure on the cam lobe. In most stock engines, the pressure exerted by the valve springs when the valves are closed is around 85 pounds. When the valves are pushed all the way open by the valvetrain, the pressure exerted by the valve springs may go as high as 200 pounds. So, At some point the valve spring will wear out and start causing issues. 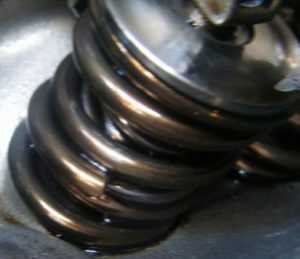 To maintain correct valve operation at normal engine speeds, all of the valve springs must exert a certain amount of spring pressure. To low or week valve spring pressure may cause valves to not completely seal or float under higher RPM. Too high a pressure may cause premature wear of other valve train parts. A broken valve spring in an engine can cause many different drivability and performance problems. Also, Broken valve springs can cause excessive valve noise, compression loss and severe internal engine damage. The actual breaking of the valve springs is not always the most serious consequence. Actions following the breaking cause the most serious damage to the engine. 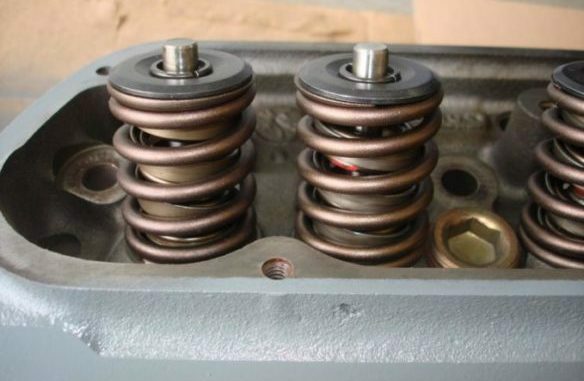 When valve springs break, they may collapse just enough to allow the valve to drop into the cylinder. 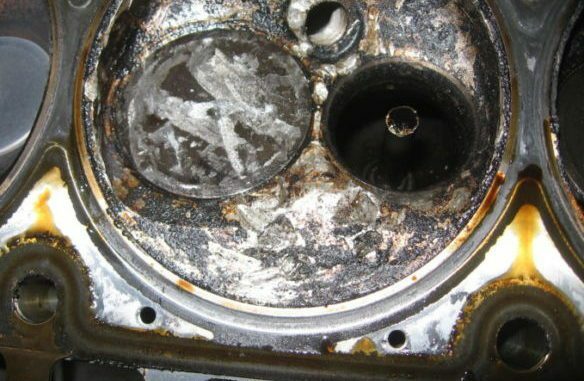 As a result, the piston may strike it causing severe damage to the piston, cylinder head, and other nearby parts. Valves can float when the valve springs can’t keep up with the engine’s speed. 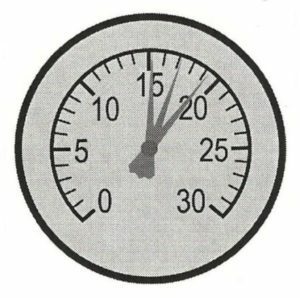 At high RPM (anything above 5000 RPM), the valves are opening and closing very rapidly. The camshaft rotates at half the speed of the crankshaft. So, At 5000 RPM, the cam is spinning at 2500 RPM, pushing the valves open over 40 times a second! If the valve springs are weak, the springs may not be able to push the valves all the way shut before the next opening cycle begins. 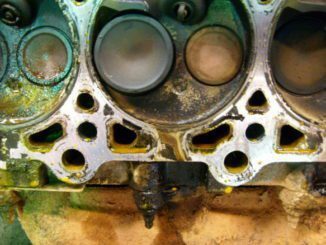 If the valves don’t completely close, the cylinders will lose compression causing the engine to misfire and lose power. In addition, valve float can also allow hydraulic lifters to “pump up”. Hydraulic valve lifters have an internal piston that is supported by oil pressure. Oil pressure pushes the piston up, forcing the pushrod to remain tight against the rocker arm. This maintains zero lash in the valvetrain for quiet operation. If the engine experiences valve float at high RPM, it can allow the pistons inside the lifters to move up slightly as they try to take up slack in the valvetrain. When the engine slows down, the lifters are overfilled with oil and may prevent the valves from fully closing. Consequently, Causing the engine again to lose compression and misfire. Eventually the lifters will settle down and normal operation will return. Valve float due to weak valve springs is bad not only for performance, but also for the valves themselves. 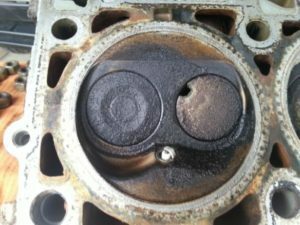 If a valve remains open too long in an engine with close piston-to-valve clearances (as is the case with most “interference” engines), one or more valves may actually hit a piston, causing serious engine damage. Valve float can also cause exhaust valves to run hot, burn and fail. Exhaust valves are cooled when the valve closes and rests on its valve seat. Now the heat is conducted away from the valve into the seat and cylinder head. If the engine is running at high speed and the valve is not fully seating, the exhaust valves can overheat. This can lead to burning or cracking in the head of the valve. 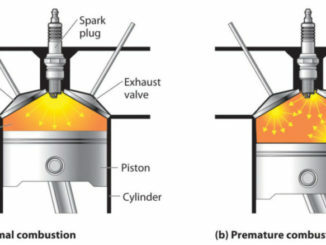 A burned valve will leak compression, causing a steady misfire in the affected cylinder. 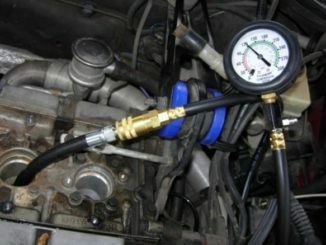 To narrow down the list of possible causes of your engine performance problem, connect a vacuum gauge to a vacuum port on the intake manifold. Then start the engine and observe the vacuum gauge readings at idle and at progressively higher engine speeds. If weak valve springs are causing your problem, the vacuum readings on the gauge will oscillate as engine speed increases. A broken valve spring will cause the gauge needle to drop sharply each time the affected valve tries to close. You need to rule out these other possibilities before even thinking about replacing the valve springs. So, Always start by checking for engine misfire codes. Next, Do a compression test. And Finally, a cylinder leak down test. This will get you well on the way to diagnosing the actual problem. Finally, Valve springs must always provide a (slightly) greater force than the inertial force of the accelerated mass of the valve. At the same time, the valve-spring forces must not be so great as to create excessive friction on the cam and potential loss of performance.